InstaaCoders is a leading ASP.NET Web Development Company in India & USA. 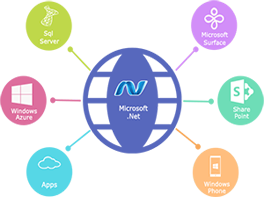 We use the .NET framework and .NET native IDE to program applications for windows desktop and mobile devices. The developers of InstaaCoders are knack to develop microsoft standards code. We expertise in providing custom solutions with maintaining microsoft level. You can hire dot net programmers/developers from InstaaCoders. We have well experienced professional .NET developer, who can work for countless time . Our dynamic developer has experience to work on complicated business project . Our support team dedicated to solving the problem of our clients . We have great experience to work with national and international clients. We are working on latest frameworks. We provide seamless flow of information according to your project . We believe our client’s smile encourage us to work hard. Our dedicated seamless support team created the great impact on Our client. InstaaCoders is a team of young and creative talents.